Canny Food > Uncategorized > Welcome! My inaugural post! I’ve been contemplating writing a blog for a while. I spend a lot of my time on Twitter talking about food and places to eat, so this seems like the natural progression for me. In fact, my Facebook page features more pictures of food than it does my son! I spent my tweens and twenties battling with my weight and having a love/hate relationship with food. Now I’m approaching (lowers voice) my mid-thirties I feel more at peace with my body image than ever before. I’m never going to be a supermodel, so why deprive myself of the things I love? Everything in moderation, as the saying goes! I’m blessed to live in a great city- Newcastle- which has some amazing restaurants. It also has a reputation for being Party Central, although I’m not into that scene as I’m Mummy to an almost-teenager. I’ll try not to talk too much about food, as there is certainly more to my life than what I happen to stuff in my face! My only disclaimer is that I’m a very fussy eater, and have very definite food dislikes. I have tried to develop my palate over the last few years- trying olives, for example- but I’m certain now of what I do and don’t like. What is really strange is I love Japanese food, but hate fish. Go figure! I’m off to one of my favourite places to eat in the North East tomorrow- Jesmond Dene House. 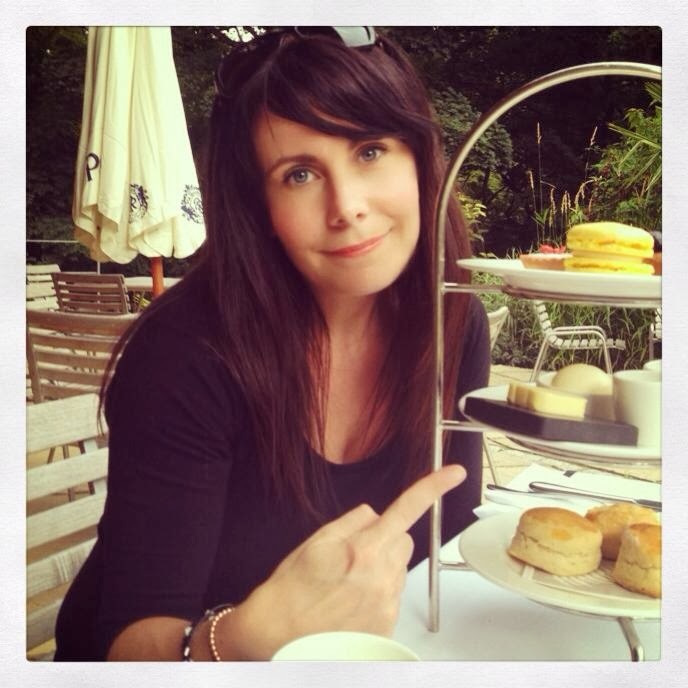 This is a picture of me there in August 2013, having their Afternoon Tea as a birthday treat. Every January there is a Restaurant Week in Newcastle during which local eateries offer a set menu to encourage people to eat out or try new places. The offer at JDH is 2/3 courses for £17/20. It is a limited selection of food compared to their usual Dinner Menu, but well worth a visit as it is a bargain. We’re really looking forward to it, and I’ll share some of my foodie photos with you afterwards.